It’s a new year and it calls for a fresh start. It’s also time for a new way to get yourself noticed for that dream job. If a job’s worth doing, it’s worth doing well, the old saying goes. This also applies to ensuring your resume has maximum impact. A resume website is exactly what you need. We’re here to give you the all the tips you’ll need to embrace the technology that’s going to make you stand out from the crowd. Whatever field you want to work in, you can guarantee that there’ll be information about it on the internet. Equally, potential employers will also be using the web to find talent. It’s a two-way street. You may be embarking on a career in accountancy and searching for areas of the business you’d like to work in. Or, if you’re interested in healthcare, you may be looking for a career in medical billing. You can learn more here, for example. Putting your entire resume here wastes no time. It’s a one-stop shop so that anyone hiring doesn’t have to click anywhere else. Have a great headline and keep the whole thing simple. It’s going to look similar to your paper version. So, use a great font, have headings to break up the page, and add in bullet points. There’ll be plenty of opportunities to broaden things out later. 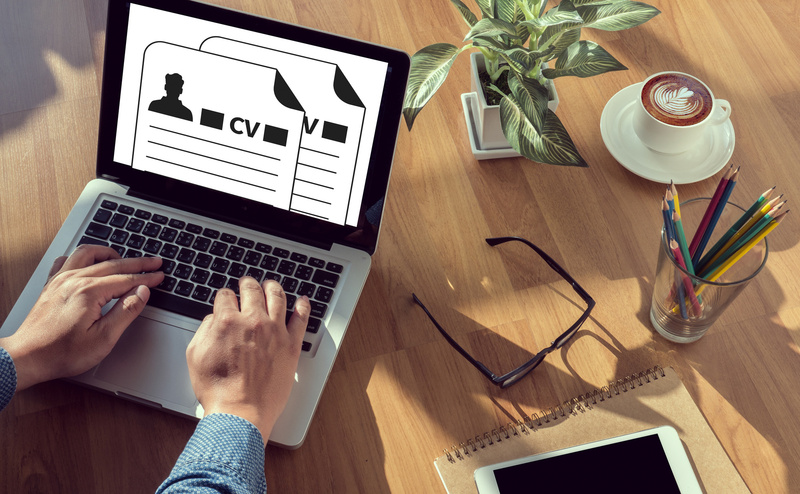 Some employers will still want a hard copy of your resume, so use a file download link to offer your resume as a PDF. Make a page for each section of your resume to flesh them out. For example, you could create separate pages for your work experience, your skills, and education. Keep it simple though. Make sure each page is well structured and easy on the eye. Adding links to companies you’ve worked for is very effective. You’re giving that little bit extra to the paper alternative. No one wants to be faced with pages of text. Look for ways that you can use photos of yourself to demonstrate what you’ve achieved. You should consider having some professional photos taken of yourself. Imagine you’re a commodity. So, perhaps think about making a logo that says who you are and what you do. If you’re great at presenting then add videos of yourself. Load them up! Turn your site into a multi-media timeline of your work history. There are also plenty of online graphics solutions that’ll bring numbers to life. Use images to break up the text. Moving pictures around and slotting them into the appropriate places will breathe life into your site. It’ll help keep the interest of the reader who could well be your next employer. You’d normally list your referees for potential employers to call and check you out. Not any more. Having your own website, you’ll be able to display exactly what your mentors and former bosses think of you. Ask colleagues or past customers to write a short piece of text about your best qualities. These references are going to look a little like online reviews. Now you’ll be able to compile a group of instant assessments of your skills and accomplishments. Professionals often regard their personal websites as their portfolios. A website is ideal for showing off their work. It’s evidence of what they can do and how they can do it. Even if you’re not employed in a particularly visual field, take advantage of your website and create a virtual gallery of your best work. This could be anything from a marketing campaign you’ve run to a presentation of your most successful sales promotions. There’ll always be a way to showcase your best work even if you’re working in an industry that lacks glamour. Although you’re launching your own site, there are probably going to be other places on the web that have information about you. Don’t be afraid to link to these. You may have a great LinkedIn profile, for example, or have been interviewed for a publication. Having your own website is a great way to bring all these elements together. Don’t forget to link both ways. Make sure you link to your own resume website from all the other sites you already appear on. A word of caution here though: your links, particularly those related to social media, need to be work appropriate. You may not want everyone to see how you looked at that party over the weekend. It’s your website, so what better place to share what you really think about the industry you work in? A blog is perfect for this. You can even update it regularly so that your network has your latest news. You can use a blog to let people know about projects you’re working on. You’ll also be able to offer your opinion about events happening in your field of expertise. All this gives a potential employer an insight into the type of person you are. Make sure you have an easily accessible way for people to get in touch with you. That’s the whole point, isn’t it? So, make a separate contact page that’s quick and easy to understand. You can also highlight your contact information in the footer of your website. This way it will be on each page. That’s convenient for a reader who’s browsing around. Investing in your own personal domain or web address shows you really mean business. If the domain for your name’s already taken, try adding a middle initial or middle name. You could also add also your job title after your name as well. A classic paper resume is old fashioned and static. You can though keep your achievements and experiences updated on your very own resume website. We have all the web design tools to make your resume shine and look professional. Come and take a look. We’ll have you standing out from the rest in no time. Previous Why Minimalistic Designs Help Boost Conversion Rates?